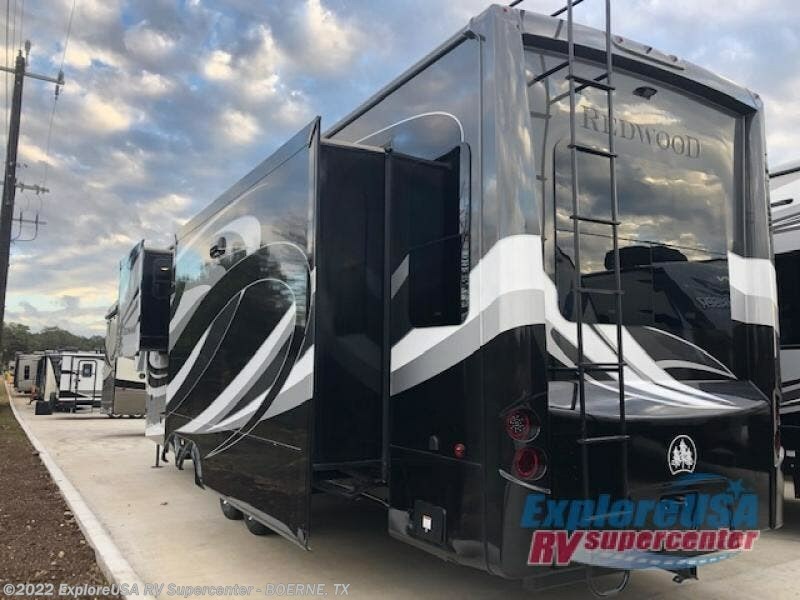 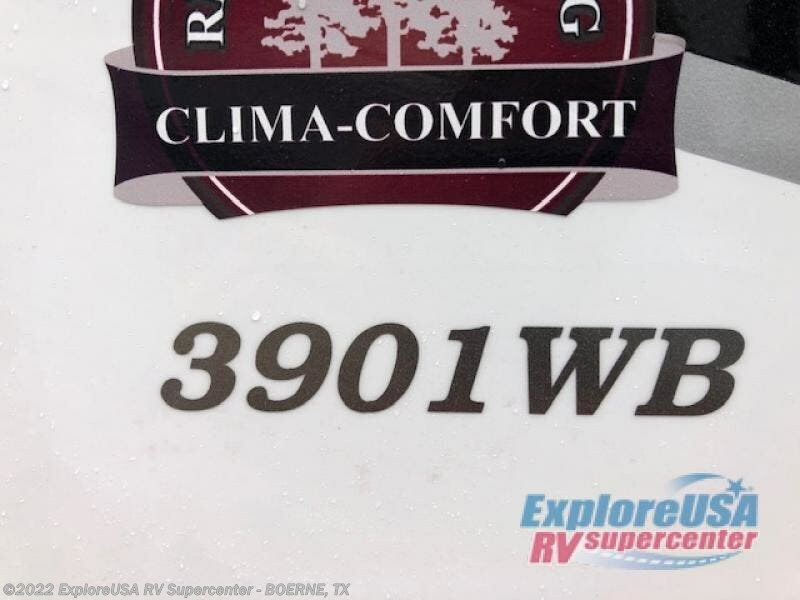 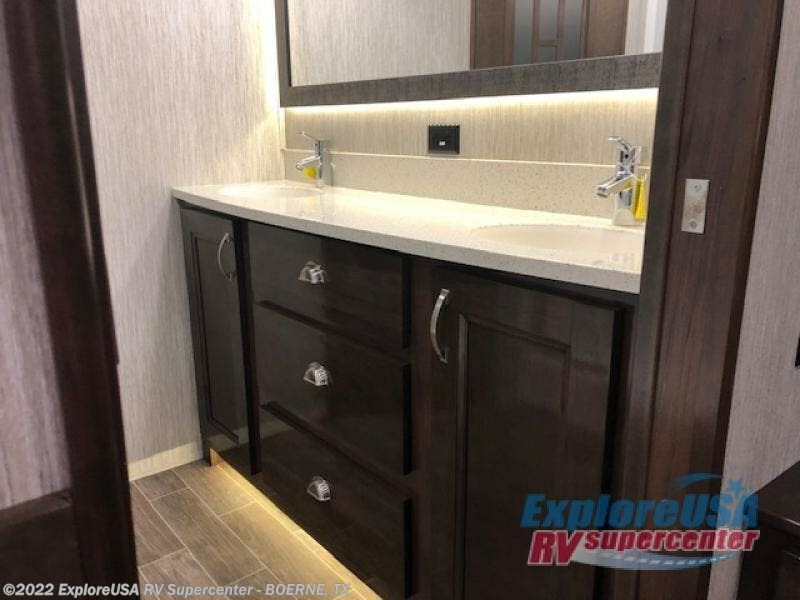 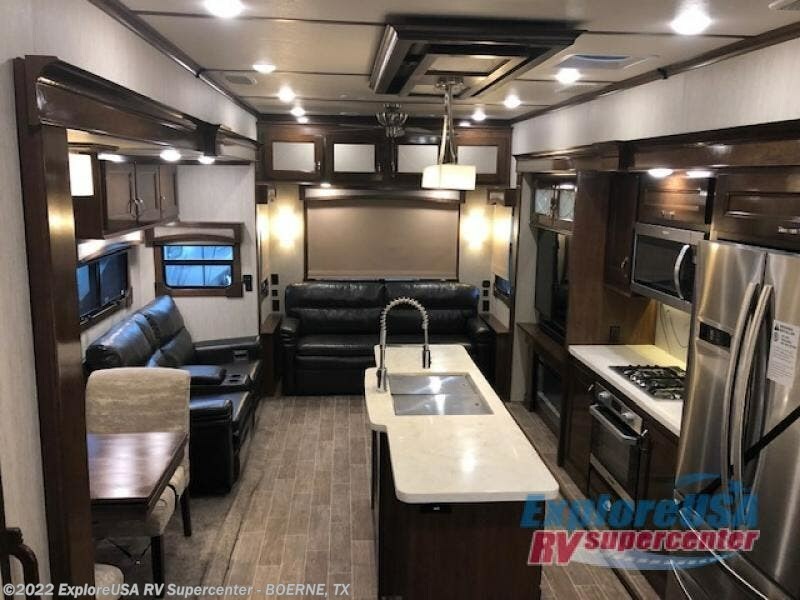 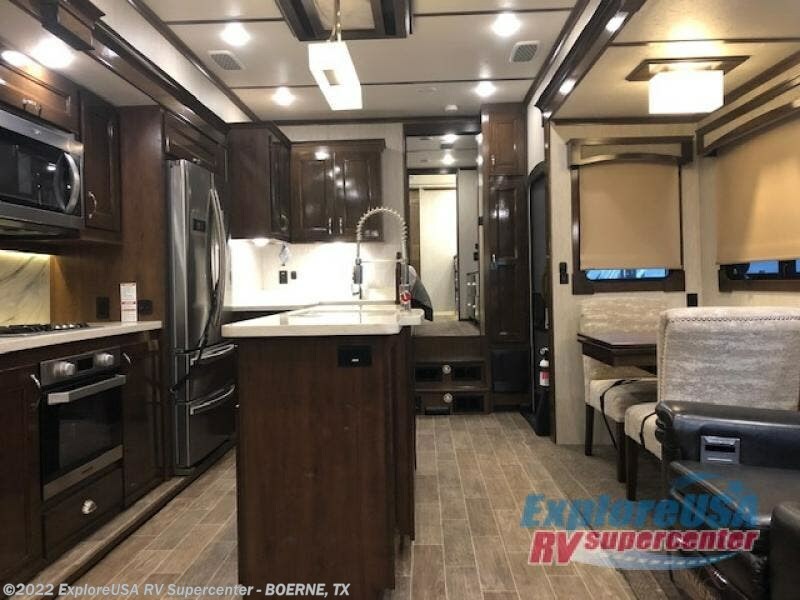 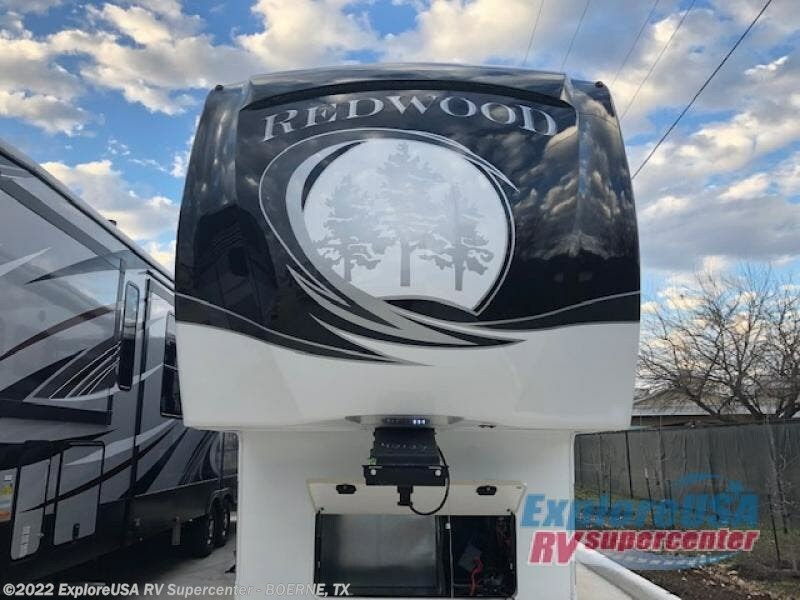 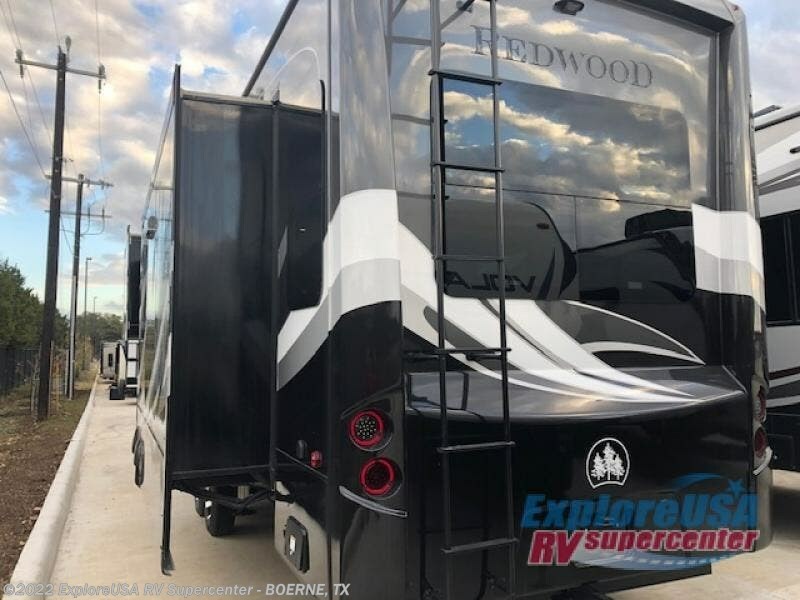 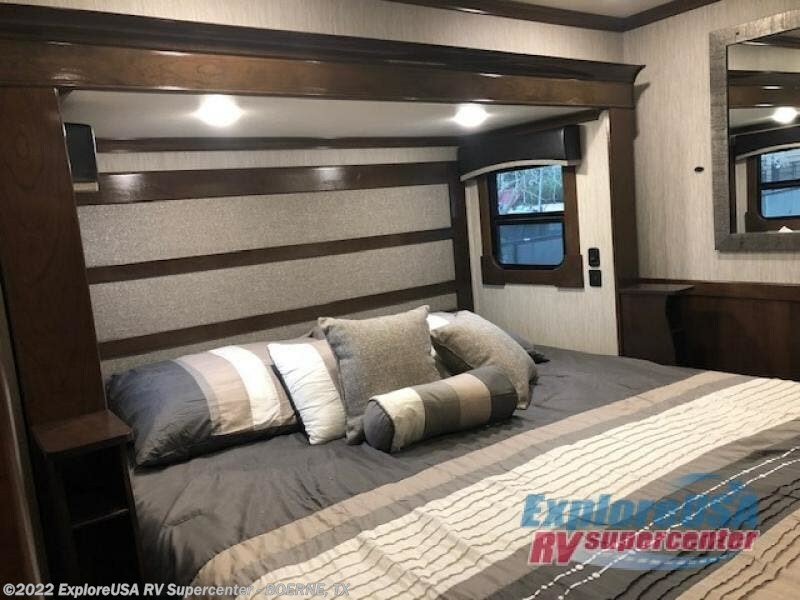 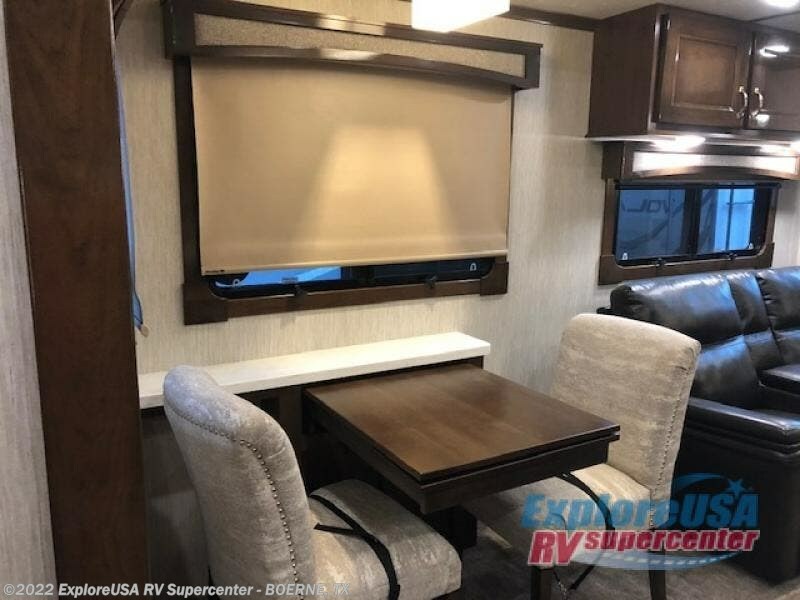 This Redwood fifth wheel is perfect for your next camping trip with family. 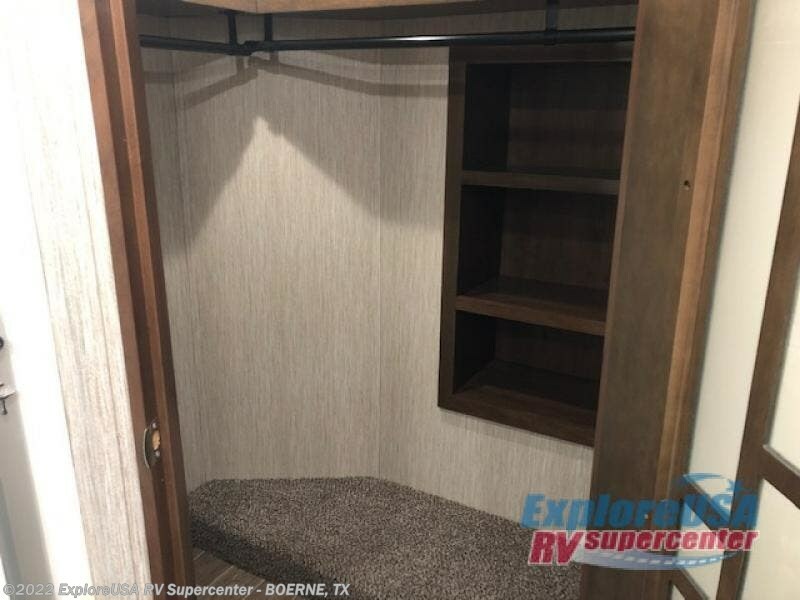 With a front master bath and closet that includes a vanity with two sinks, you'll feel right at home. 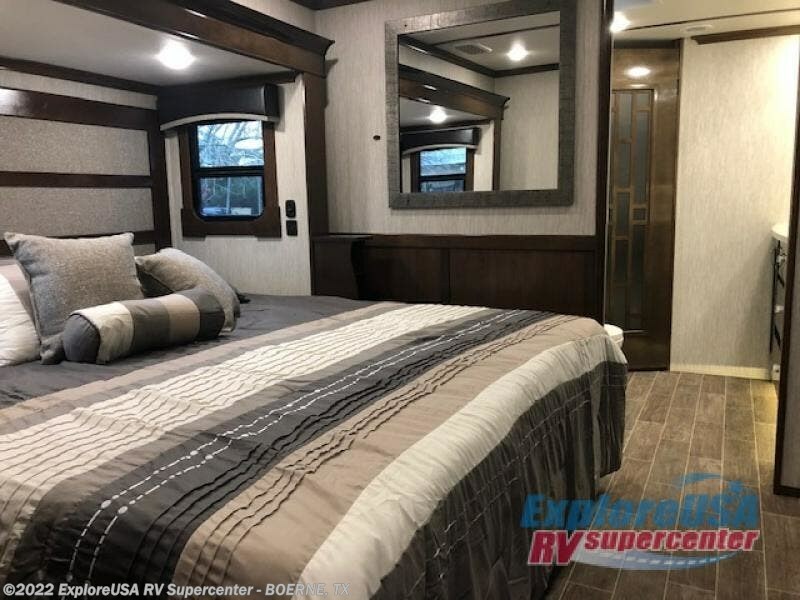 After a long day, stretch out on the spacious king bed and watch a movie on the 39" TV. 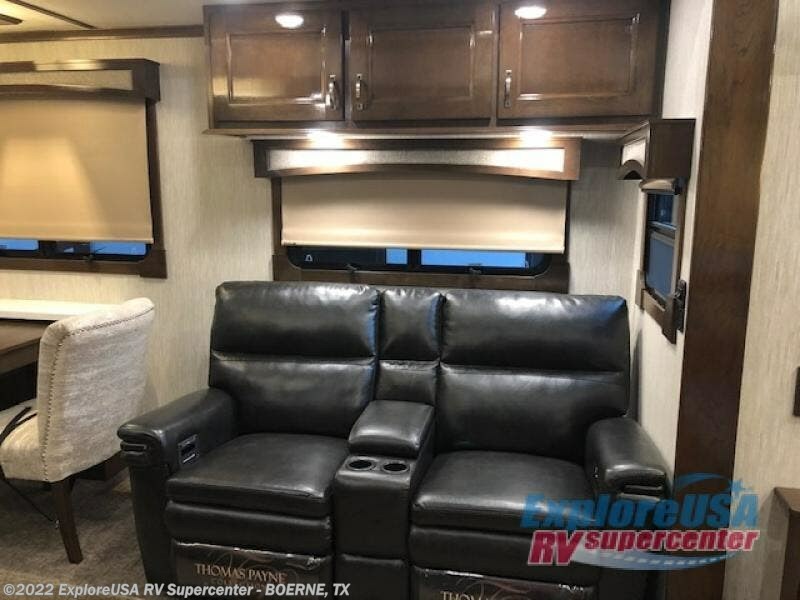 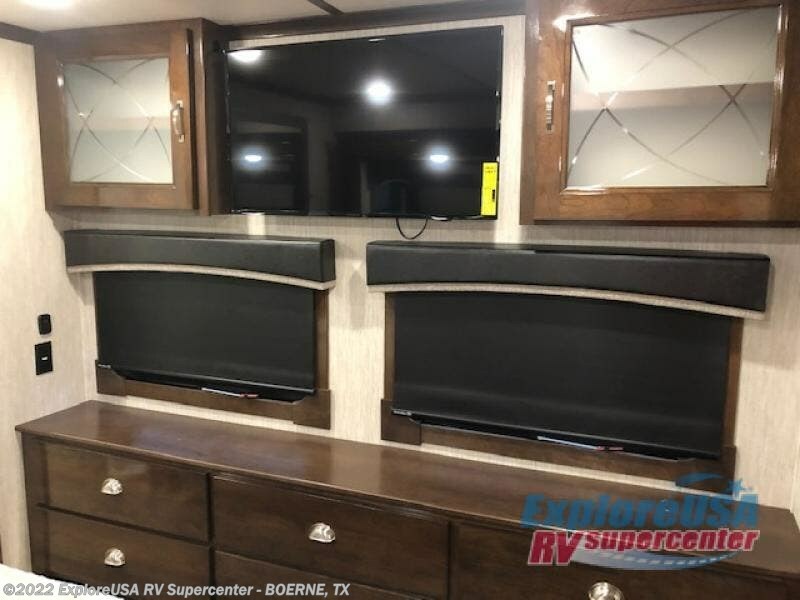 The kids will love the rear living area that features a sofa and theater seating, plus a 55" TV for morning cartoons. 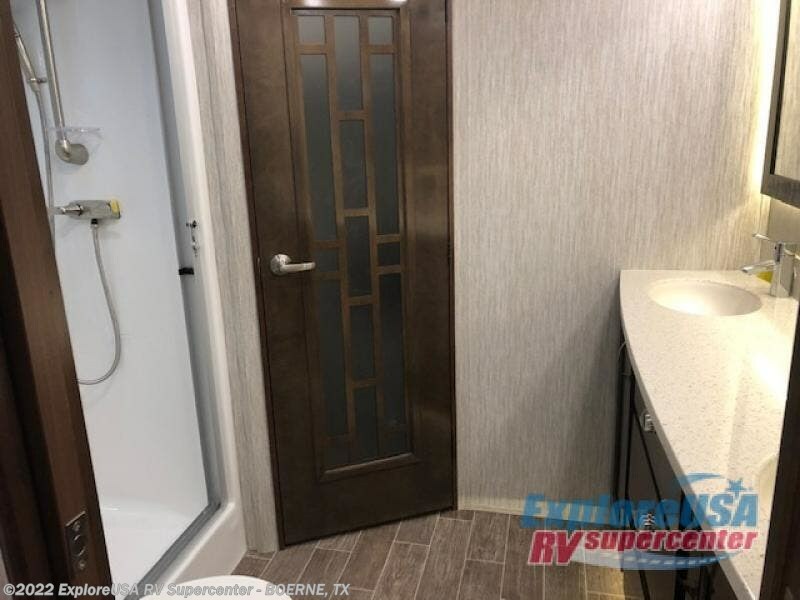 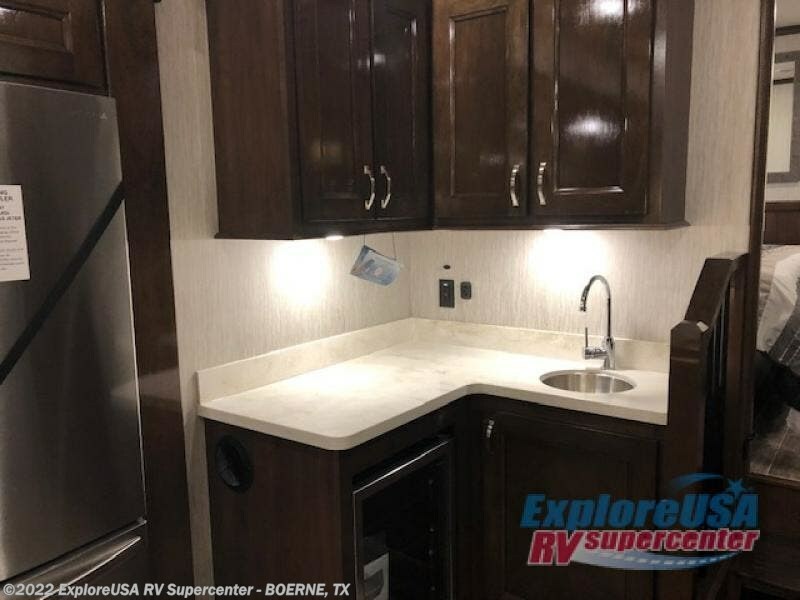 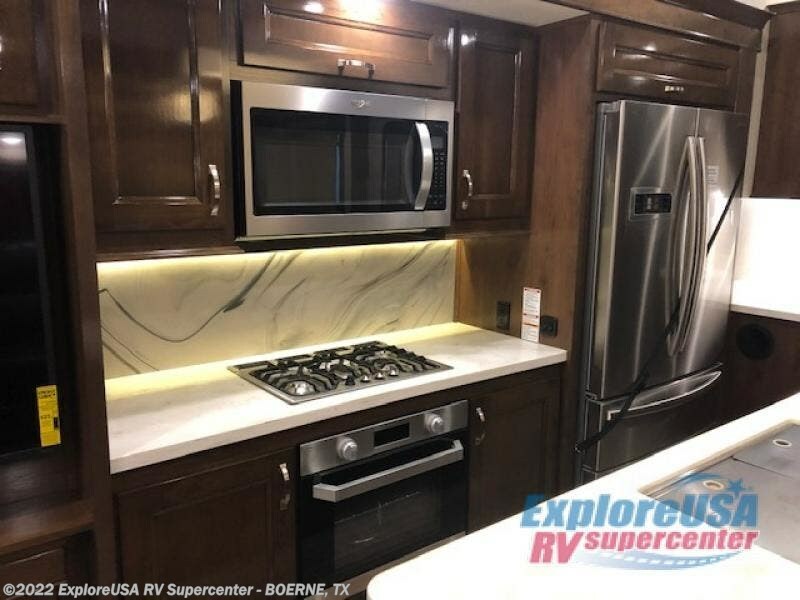 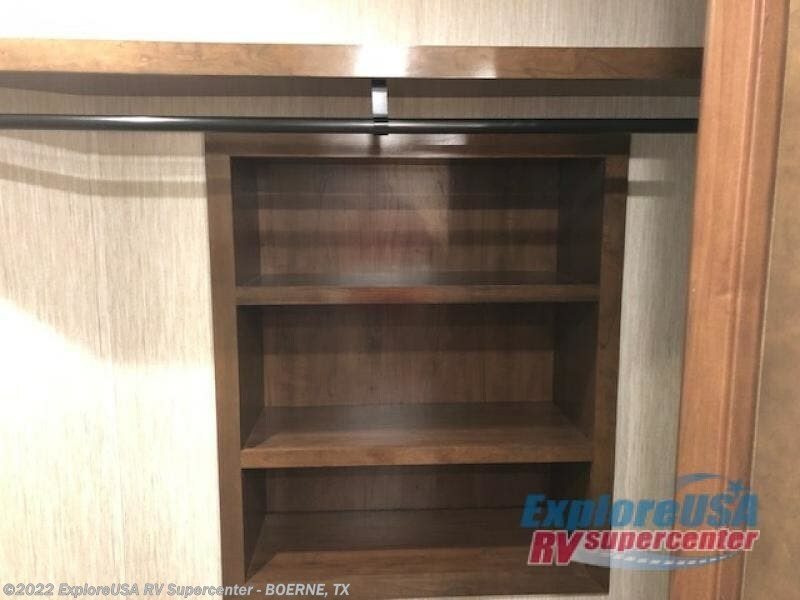 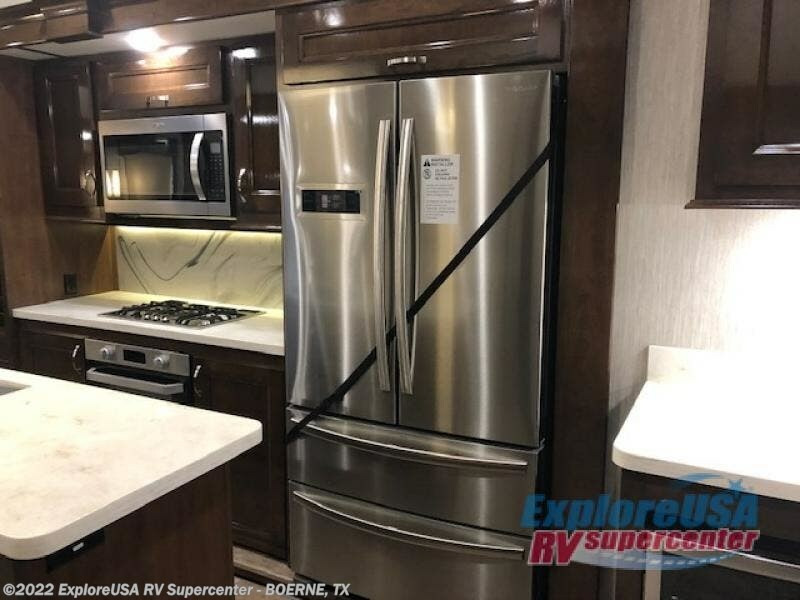 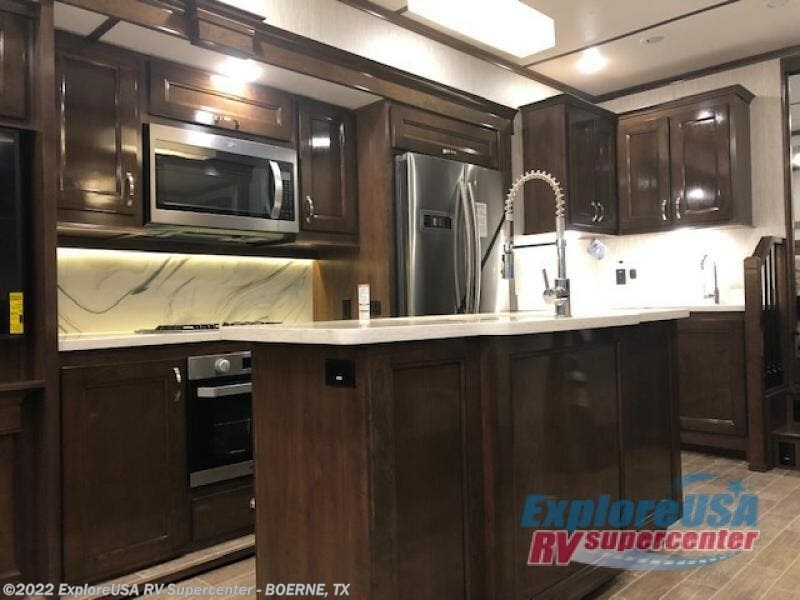 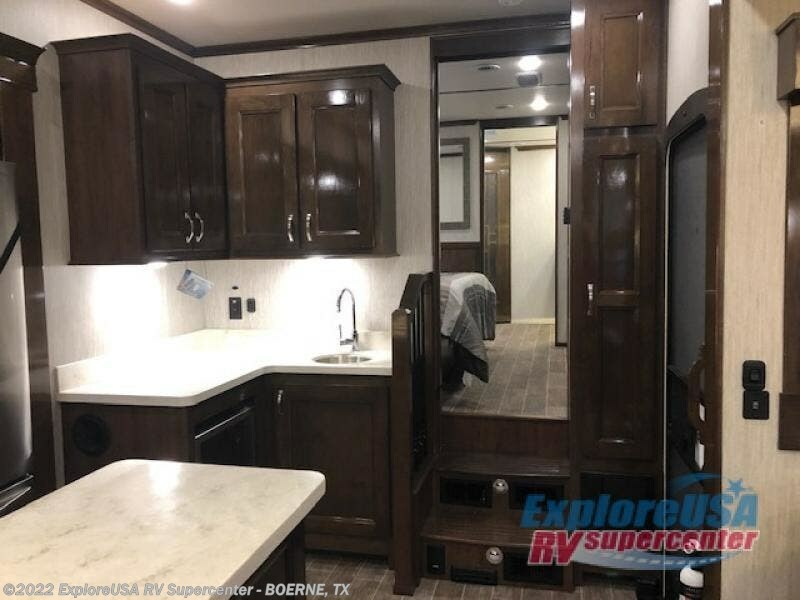 This unit includes a kitchen with a wet bar and a wine cooler for the adults to enjoy. 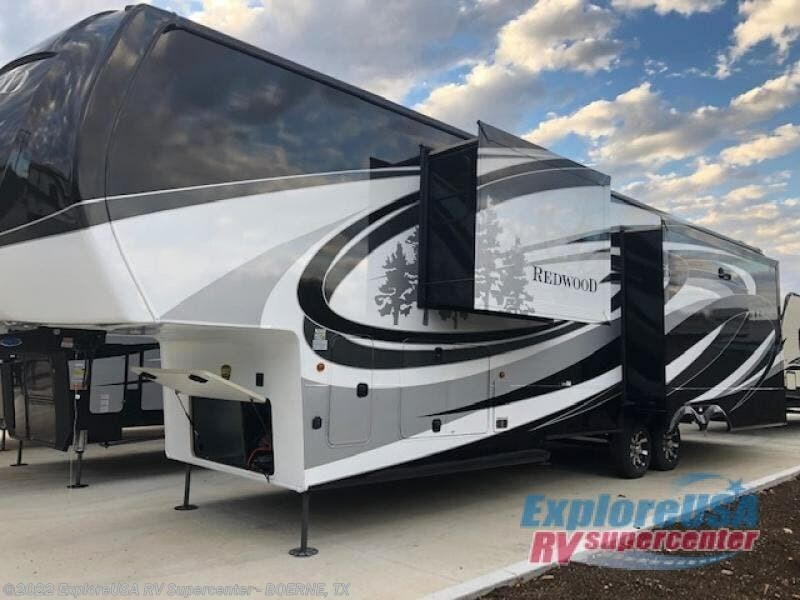 With multiple overhead storage compartments in this model, you can bring all the comforts of home with you. 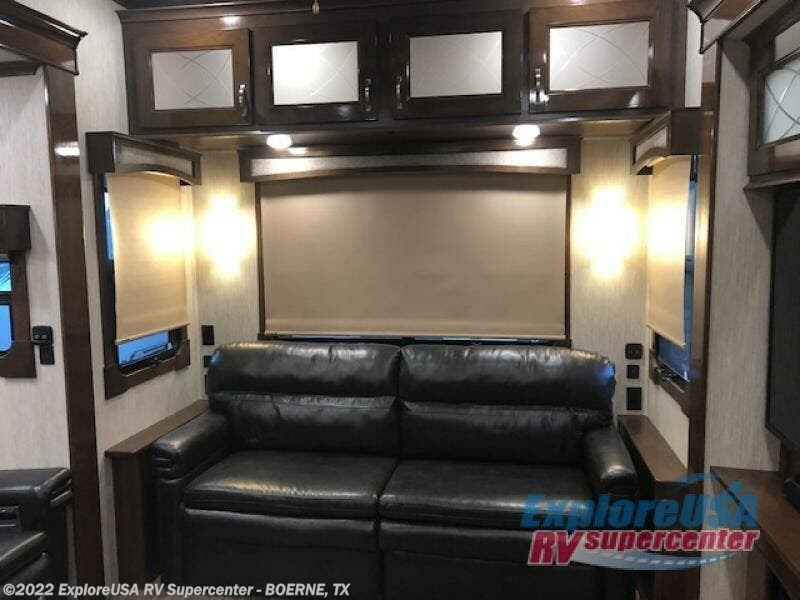 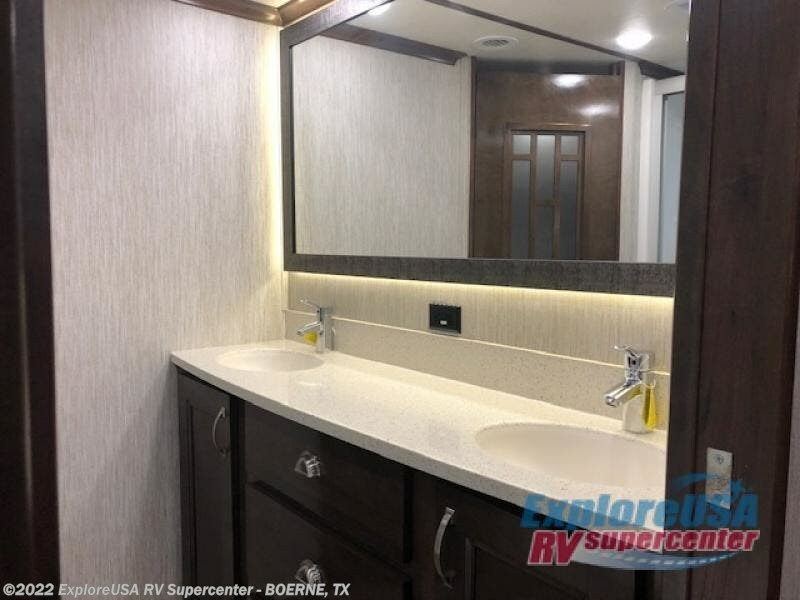 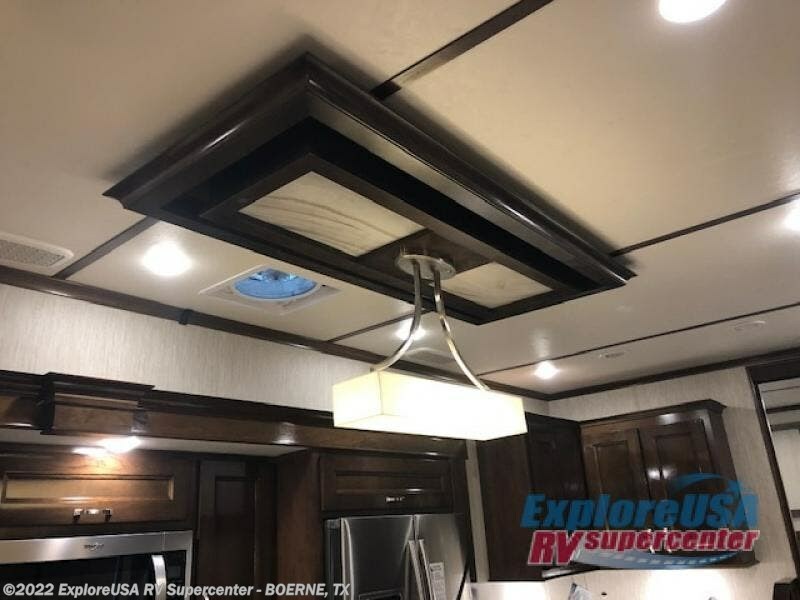 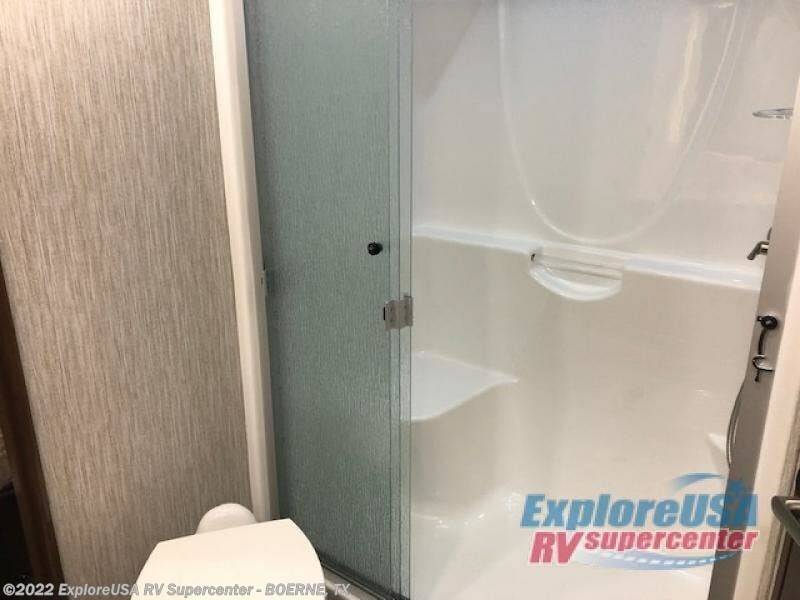 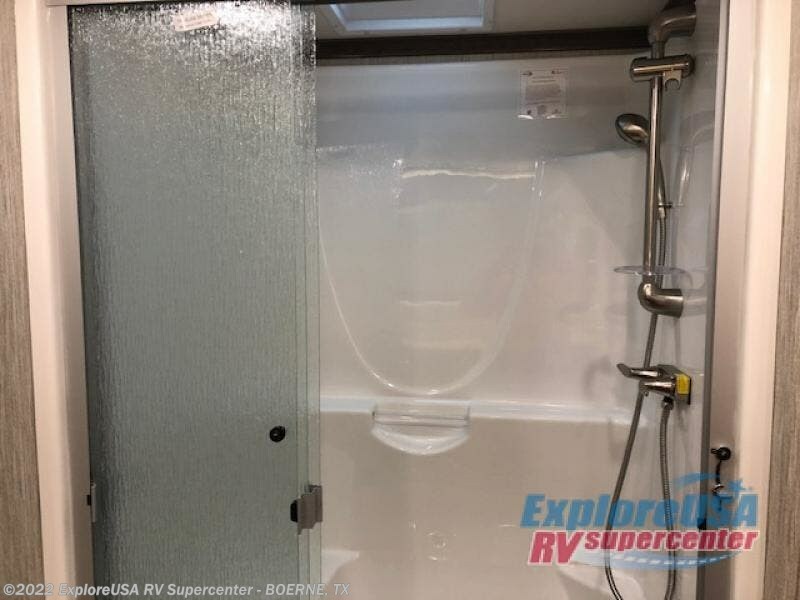 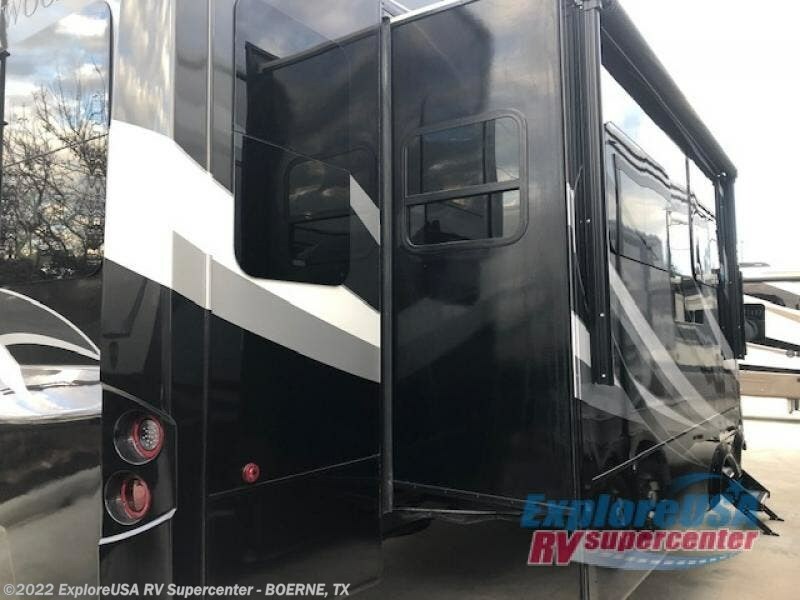 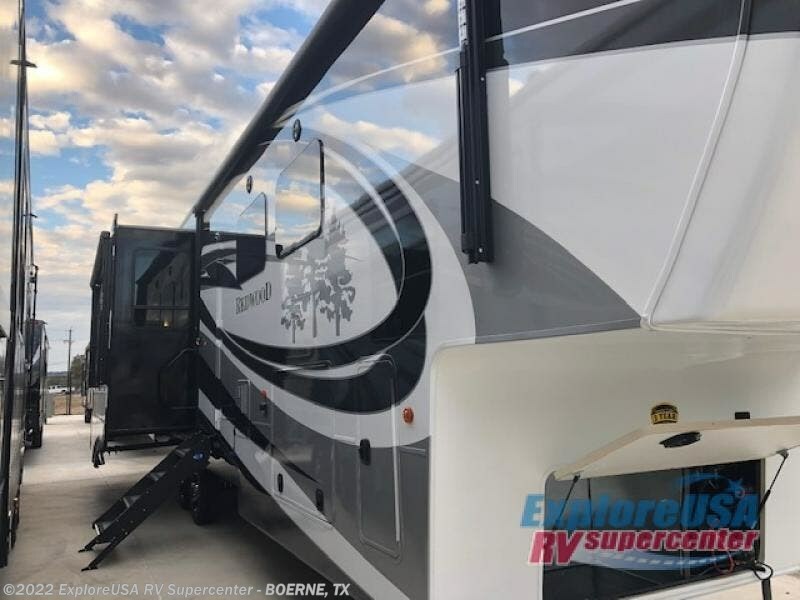 Check out this fifth wheel today and you'll be happy you did!